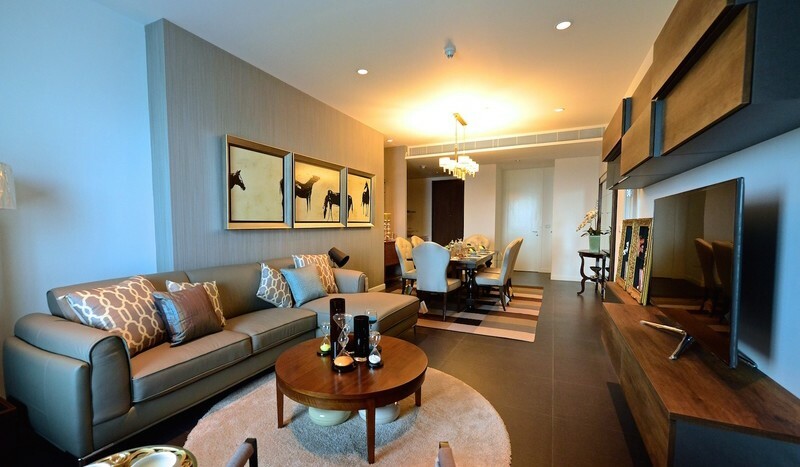 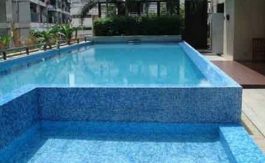 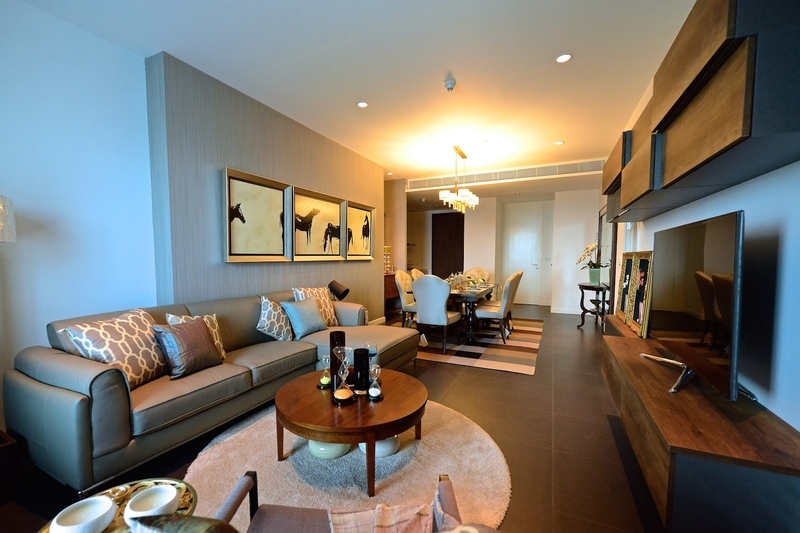 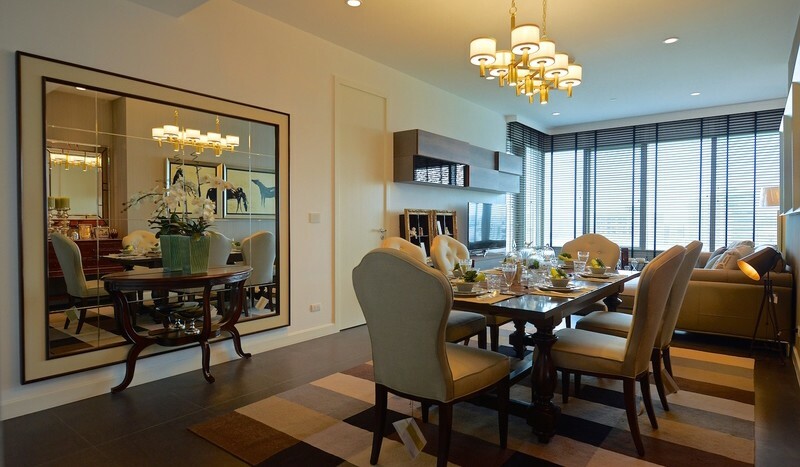 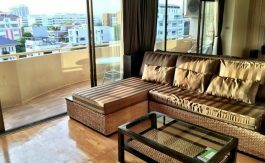 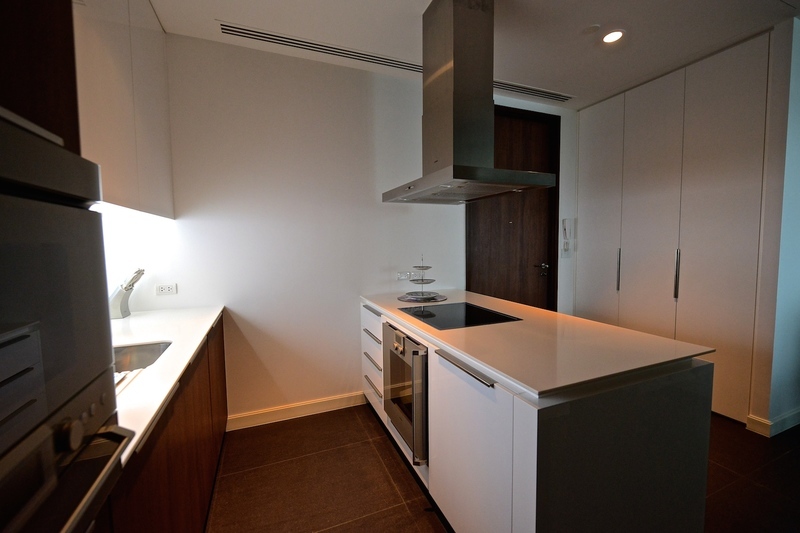 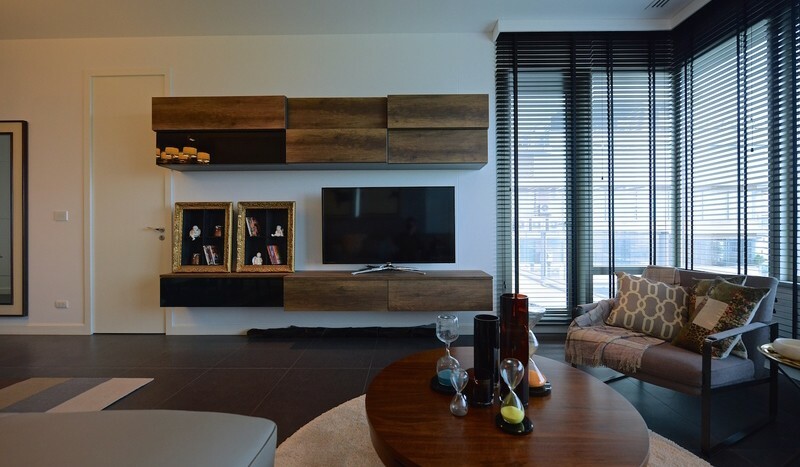 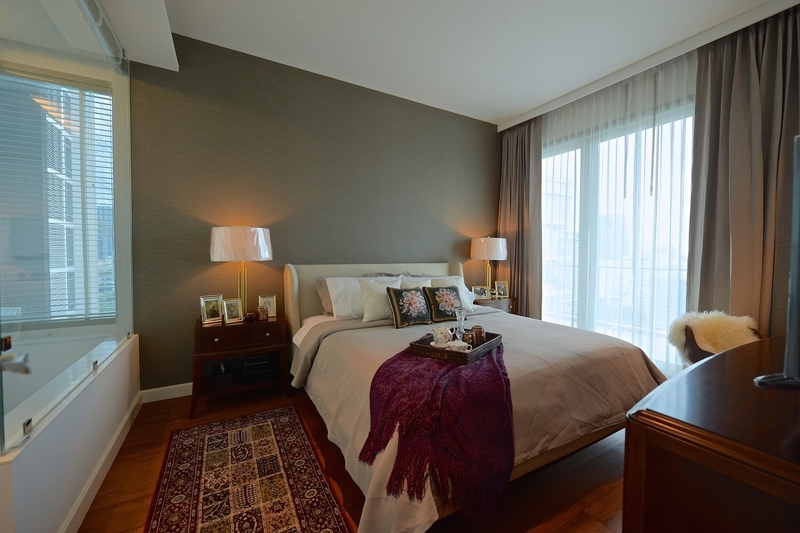 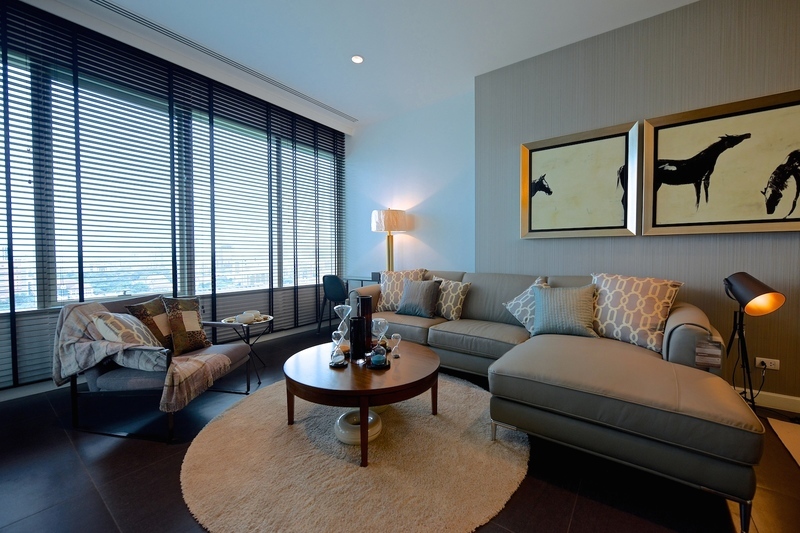 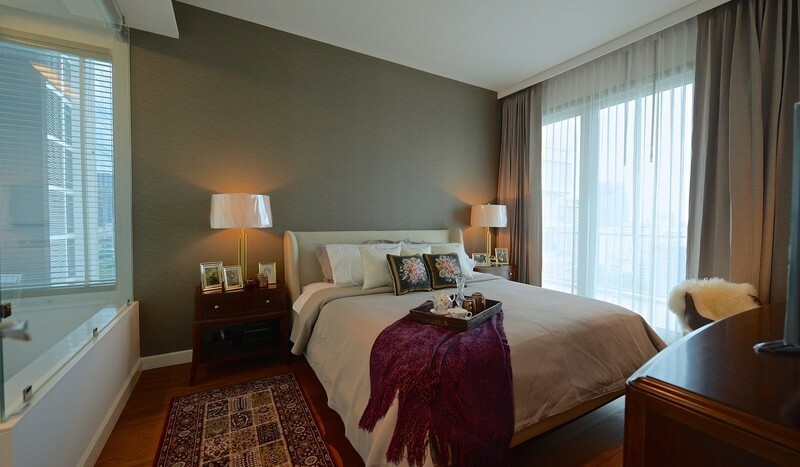 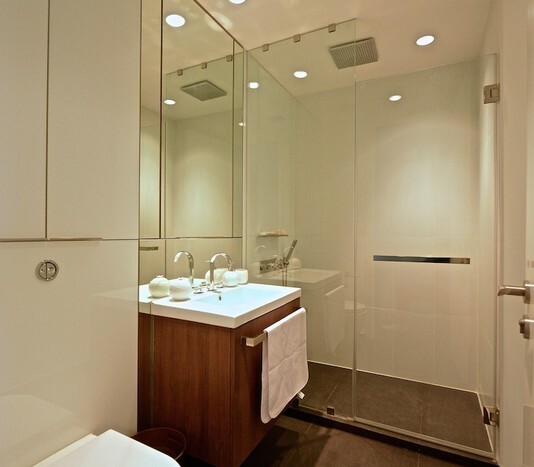 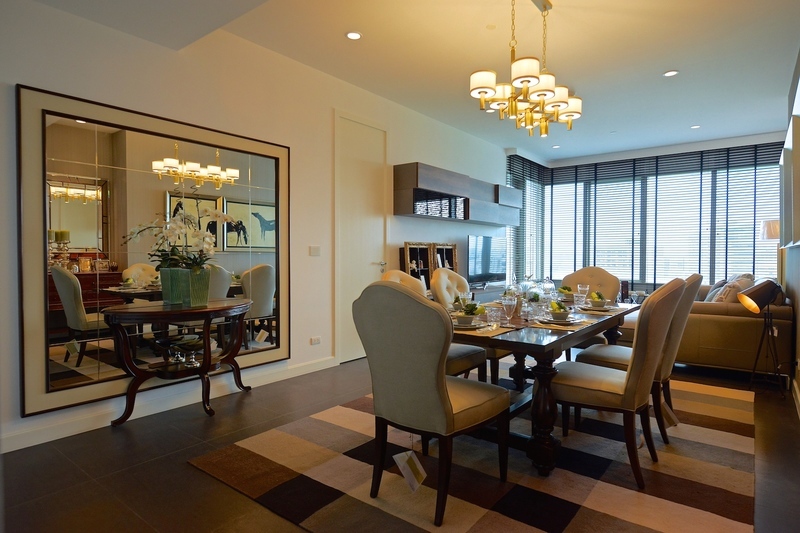 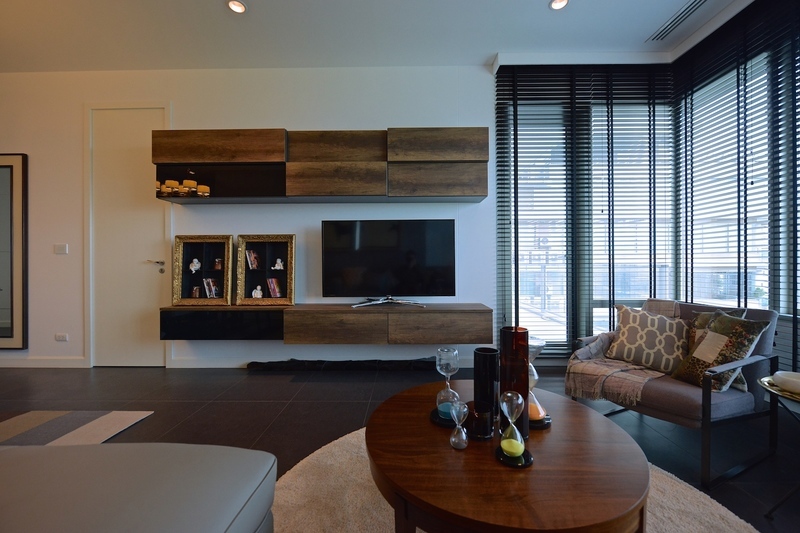 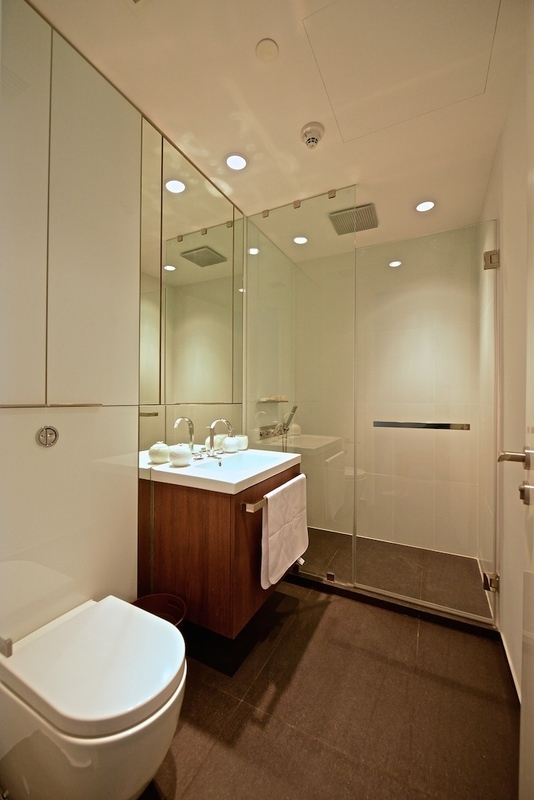 Luxury three bedroom condo in the heart of Rajadamri for rent. 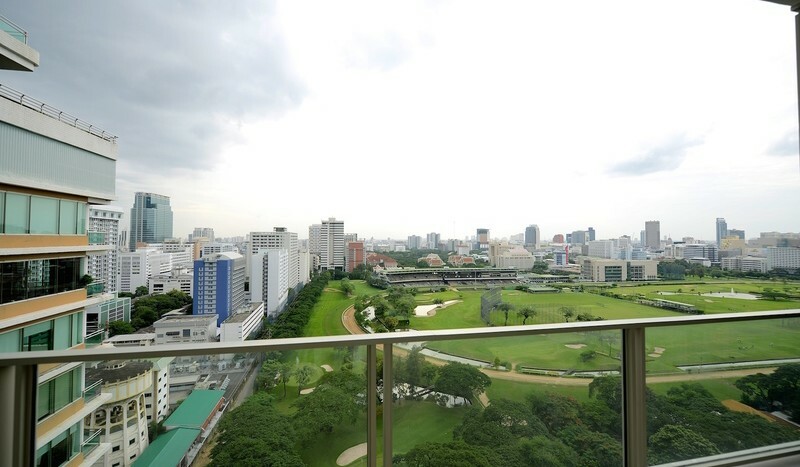 Situated on Bangkok’s most prestigious Rajadamri Road, one of the city’s most sought-after residential location.This unit on a high floor is the most special Corner Unit with views of both RBSC/Turf Club and Suan Lumpini. 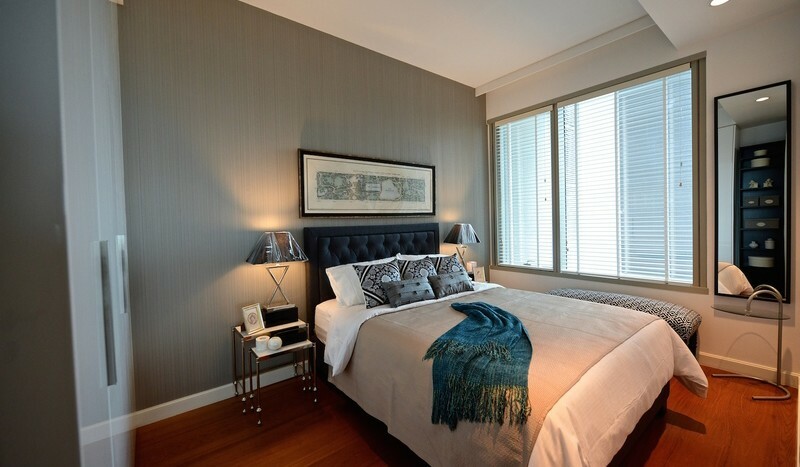 The unit comes fully furnished with designer furniture throughout and has a spacious well designed living area with balcony holding unblocked green views. 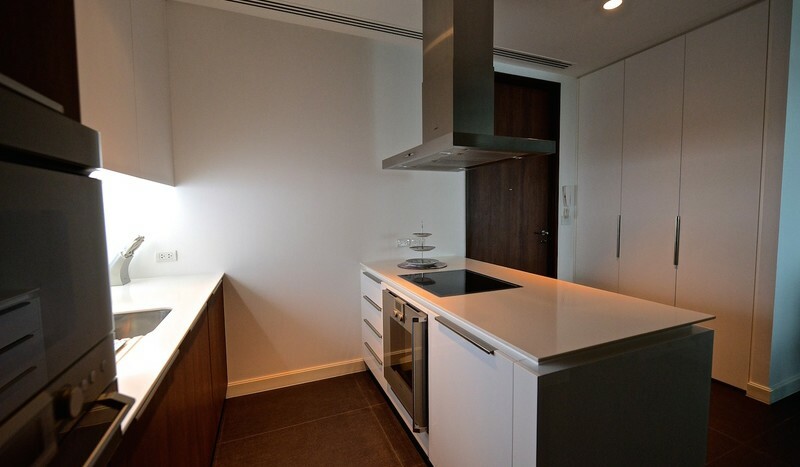 The kitchen is fully equipped and is ideal for someone who enjoys to cook. 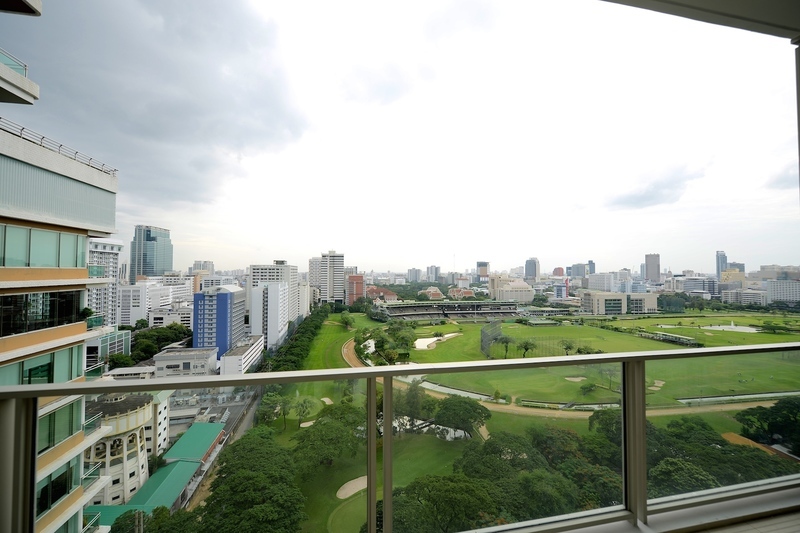 Located on a high floor, the view is unblocked and a great sight. 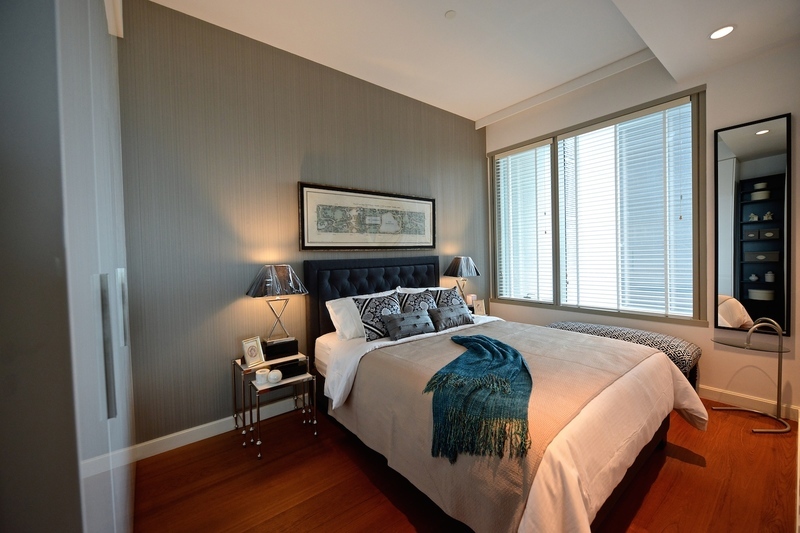 The unit holds three spacious double bedrooms all complete with vast storage and each room has an en-suite. 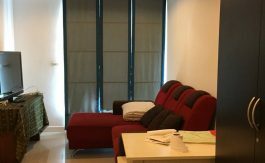 The property is a short walking distance from Rajadamri BTS station, and just next to Suan Lumpini.